It’s time for another perusal of the week’s ComicList, which has a decidedly all-ages flair. Yes, I know that Kiyohiko Azuma’s Yotsuba&! was originally published in a magazine for adult men, Dengeki Daioh. I’d still display no reluctance in recommending the series, now up to its eighth volume, to children and their caregivers, as it’s adorable and hilarious. This time around, Azuma will bring fresh mirth and charm to those old manga standbys, the school and community festivals. On the home-grown front, there are two original graphic novels from Simon & Schuster’s Atheneum imprint for young adults. 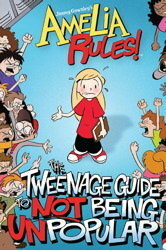 First, there’s a new collection of Jimmy Gownley’s terrific Amelia Rules! The Tweenage Guide to Not Being Unpopular is available in hardcover and paperback. I suspect this will be a nice comic-book follow up to the return of Glee. You can check out a preview trailer here. A new graphic novel from Hope Larson is always cause for celebration. 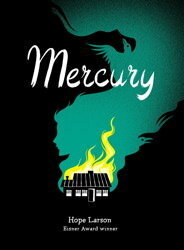 This time around, Mercury (also available in hardcover and paperback) offers a multi-generational mystery set in a family estate in Nova Scotia. Simon & Schuster informs me that the book “weaves together history, romance, and a touch of her trademark magical realism in this remarkable graphic novel of how the past haunts a teenage girl’s present.” I can believe that with no difficulty. 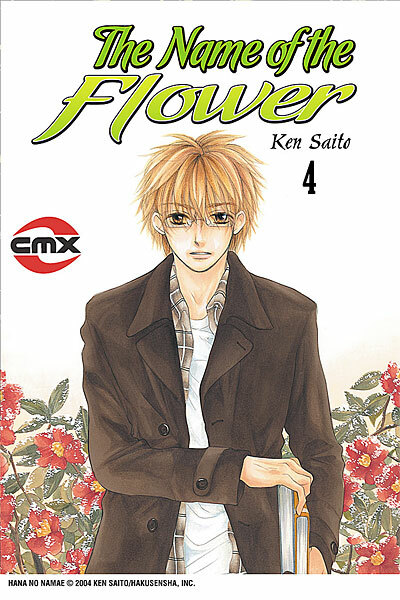 Ken Saito’s moody, moving The Name of the Flower (CMX) concludes with its fourth volume. I’ll be lazy and quote Kate (The Manga Critic) Dacey, who says that “Saito’s elegant, understated art is the perfect complement to this delicate drama, making good use of floral imagery to underscore the heroine’s emotional state. For my money, the best new shojo manga of 2009.” In case you’re curious, the series originally ran in Hakusensha’s LaLaDX. Hakusensha rules. And swinging back to Yen Press, we have the third volume of Svetlana Chmakova’s Nightschool: The Weirn Books, which I’ve enjoyed a whole lot. It’s a supernatural mystery about a powerful girl who must enroll in a school for magic-users and monsters to figure out why her sister disappeared. There are tons of subplots and a big cast of adversarial forces, but Chmakova handles them well and keeps things moving at an appealing clip without neglecting character development or humor. 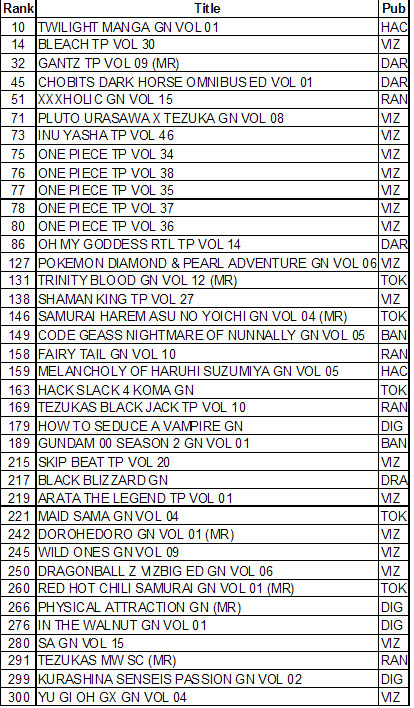 You are currently browsing the The Manga Curmudgeon blog archives for the day Tuesday, April 13th, 2010.